I responded with a two page letter elaborating on all my achievements and things I was proud of. I honestly don’t recall exactly what code I ended up showing them, though I’m certain it was mostly Z-80 assembly language (well commented, of course). Zibo was the first interviewer. 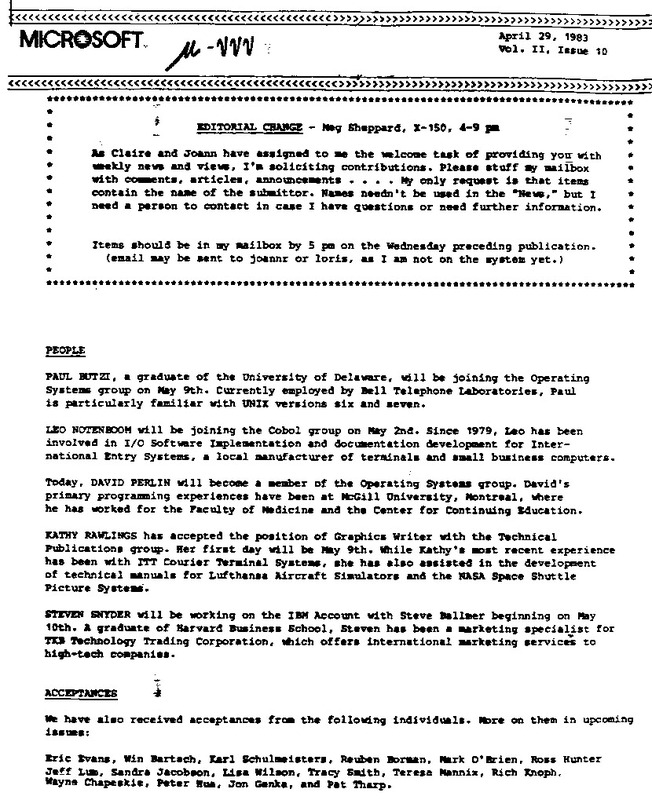 I remember him asking me questions for 45 minutes and then showing me a hot new computer, an Apple Lisa, for another 45. Of course that set the entire day late by 1/2 an hour. Unfortunately, this guy I didn’t know, “Steve Ballmer“, was unavailable by the time I was back from lunch with Floyd, so I got sent home. As it turns out, they called me back for a second day of interviews. Steve was my last interview at the end of that one. So there it was. My worst case scenario had come true. I had to make a decision. In retrospect it looks like a no-brainer. In fact it probably was. But as I mentioned earlier, being young and perhaps a bit naive (as opposed to today, where I’m no longer young), it was a hard decision. But a decision it was and a decision I made. 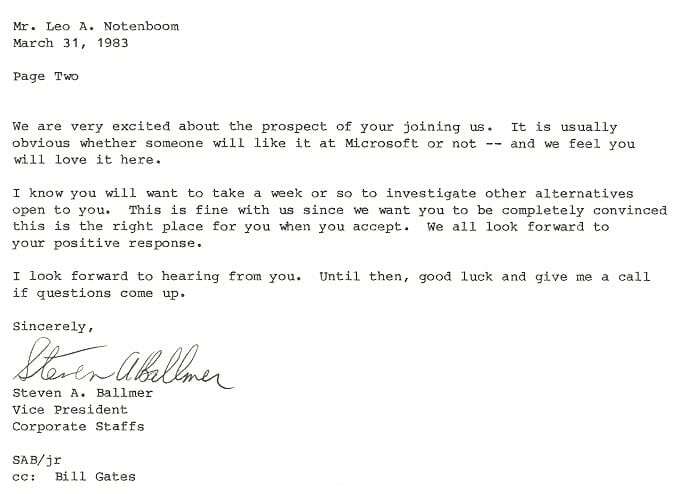 I have no idea if Bill really sent that, and to be honest, I hope he didn’t. Even then he had better things to do with his time. For those that don’t “get it” (and it took me a long time), that scribble on the masthead is the letter “micro” followed by three of the letter “nu”. Yes, that’s Micro-nus. Micronews. See? We’ve always been geeks. Two things of note: One, I think I’ve outlasted everyone else in the list. Two, the person who was to become my Worst Boss Ever, truly Dilbert’s PHB incarnate, is on that list. No, I won’t name names, though friends of that era will recognize immediately. “New Employee Orientation”? No such thing. One half hour signing forms (yes, I have my original NDA, and no, you can’t see it), signing up for health insurance, etc. etc. and then here’s your office (the first of something like 30), your email name and your terminal. Oh, and here’s your manager (the first of over 20). 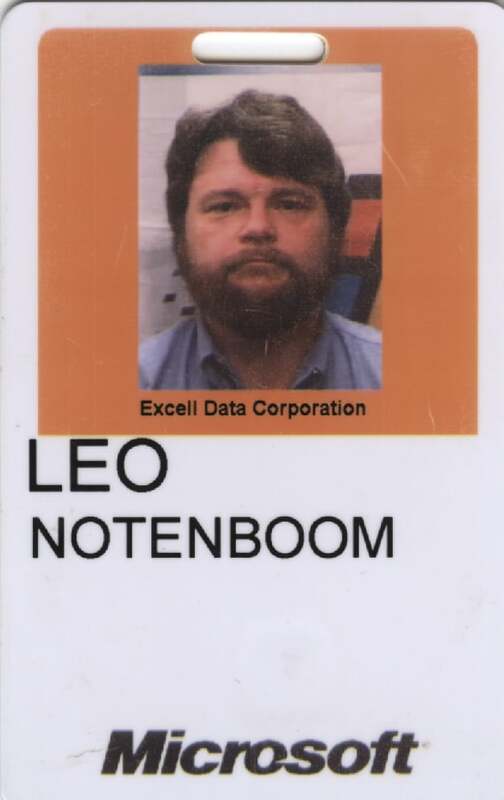 The 18.5 years that have followed…well, that’s a story for another day. But it’s been a grand story. working. 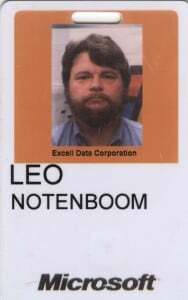 You now can reach me at leon@exmsft.com. been allowed to play my (very) small part. 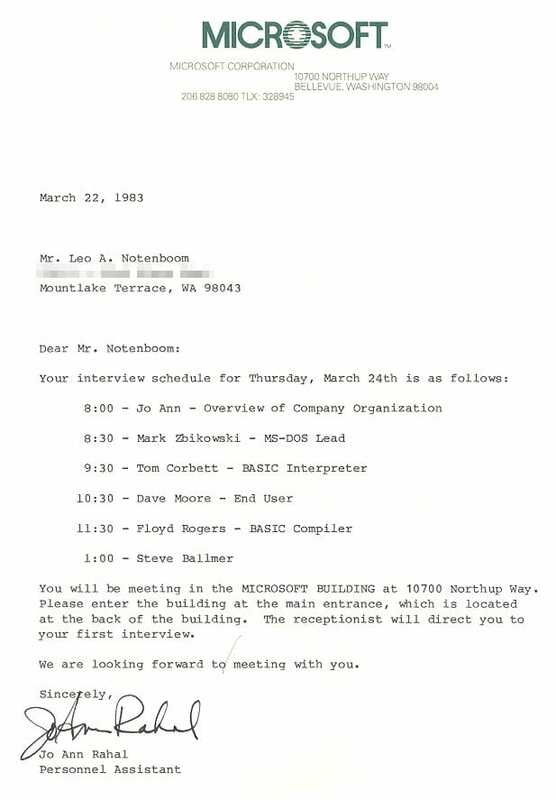 at Microsoft. That's very hard for me to walk away from. see what's around the next corner. Since November of 2000, I’d been working half time, and that half time opportunity was going away. I could choose between resuming full-time work, or leaving. Having “tasted freedom”, I choose to leave. As I say above, it wasn’t an easy decision, but it was a clear one. 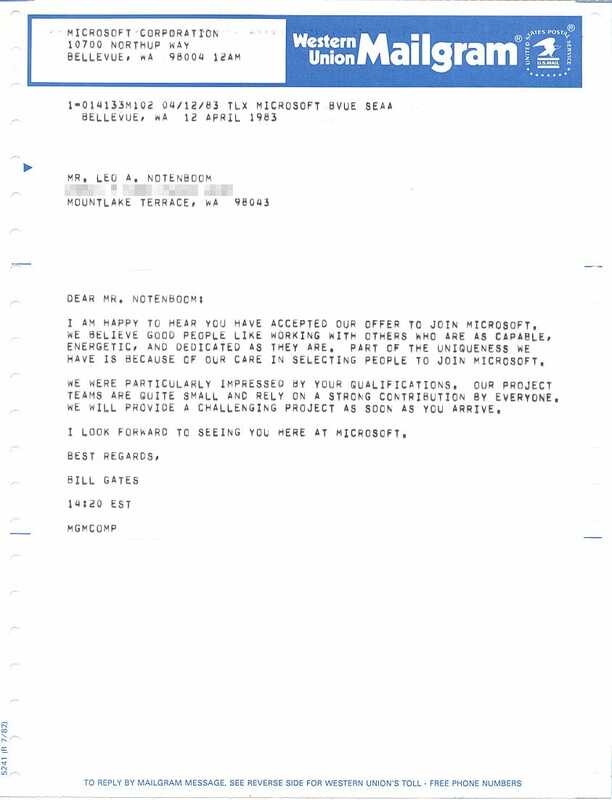 I did, indeed, return to Microsoft as a contractor in 2002. Unfortunately as the health of my mother declined around that same time my contracting days ended up being fewer than I’d planned and I left after only a few months never to return. Not long thereafter I fell in with some internet entrepreneurs, and Ask Leo! followed in 2003. Great advice. I couldn’t agree more! As one of your senior citizen readers of Ask Leo, I really enjoyed reading your detailed description of your life’s work. Thanks for your great service. Keep up the good work! Hey Leo – brings back many memories. Glad to see you saved all this stuff. Wish I’d done the same. 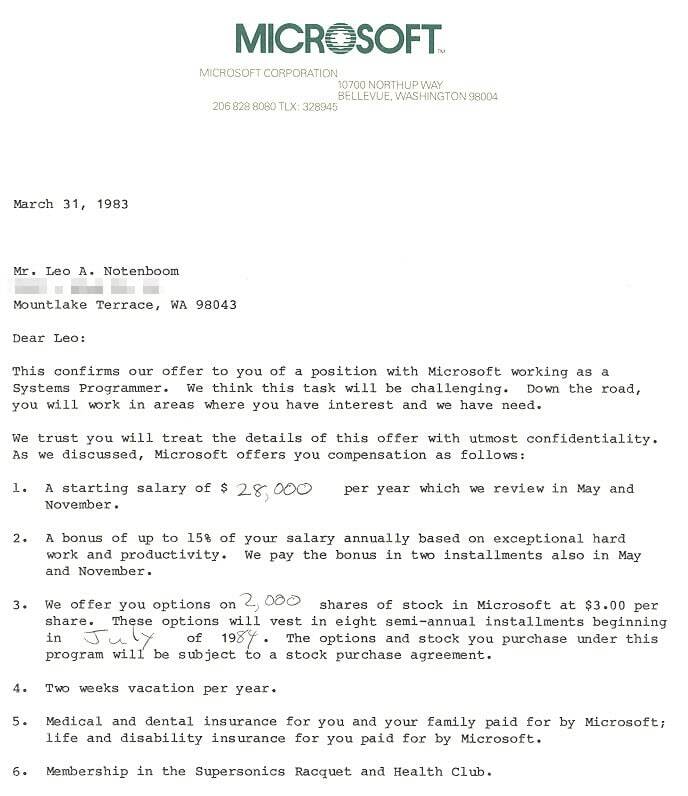 I remember thinking the same about the stock options – “Right – like those will be worth anything.”. I started just shortly after you and loved seeing a lot of old friends listed in the Micronews.